Our POS system is capable of sending data online. 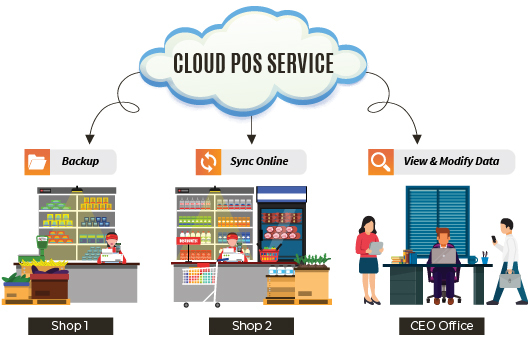 BMO (business management online) is a cloud platform where all the POS terminal can sync their data to our BMO platform. The BMO platform is a cloud application where it connects to the back-end database to display, view and do all sorts of administration on the data. Later the data can be sync back to the offline machine. For example, the admin can change price at the BMO platform, and then the data will be reflected to the POS machine. Administrator can login to the back-end system at posmarket.com.my or bmo.my. There is no setup fees or any hidden fees for the cloud server system. You will need to pay only for monthly subscription fees.